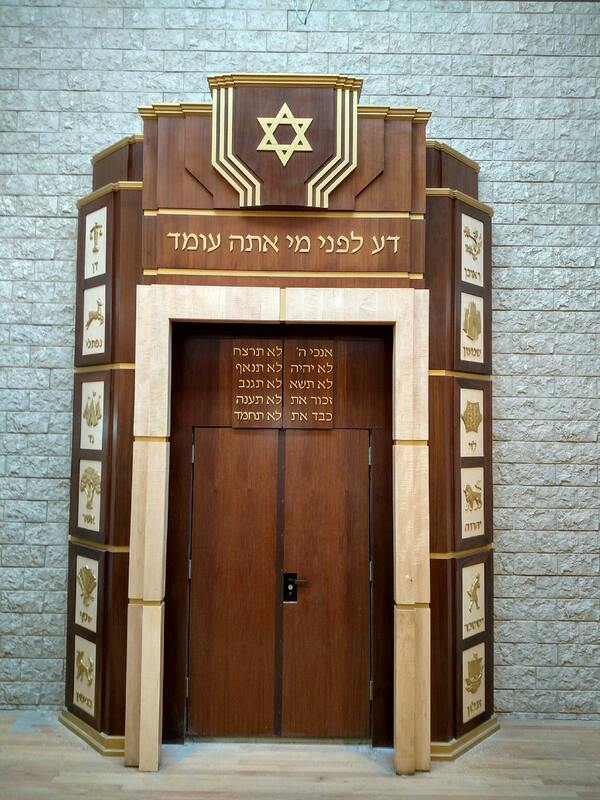 Custom individual letters and logos are cut in brass, bronze, aluminum, stainless steel, acrylic, Corian® and wood. 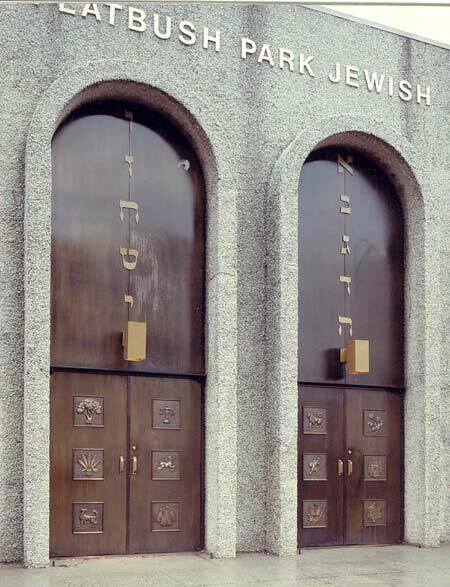 Cast metal letters are available in bronze, brass and aluminum. 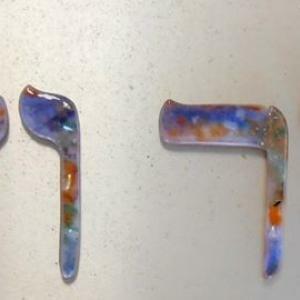 We offer a wide variety of sizes and styles. 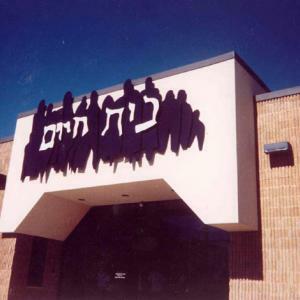 Contact us to design and manufacture your next letter project. 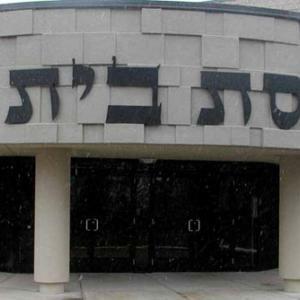 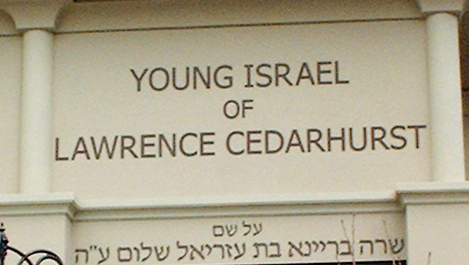 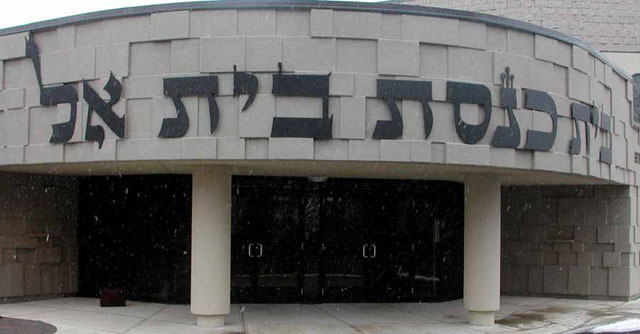 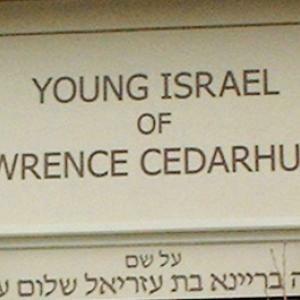 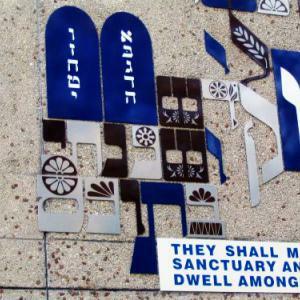 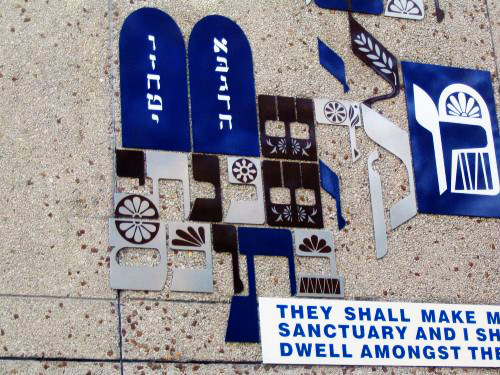 Massive duranodic aluminum, individual cut letters are mounted to a curved wall above the main entrance to the synagogue. 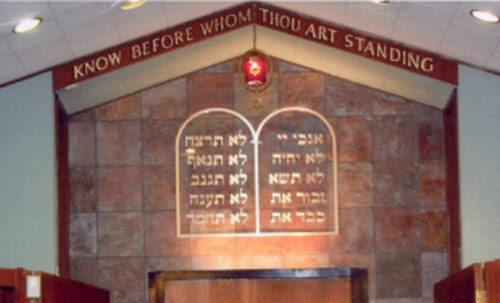 Individual satin brass letters and tablets mounted to clear Plexiglas form the Ten Commandments. 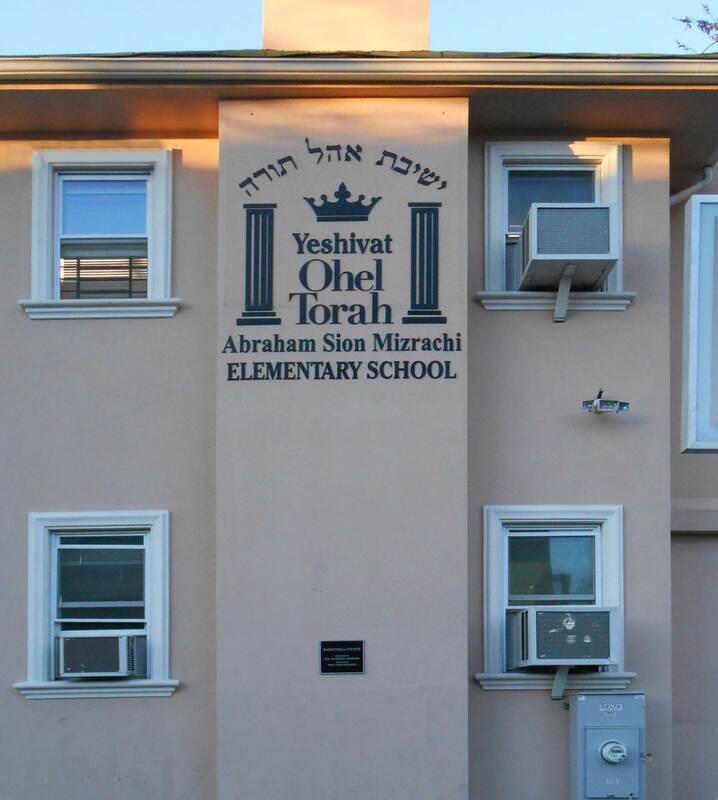 5" satin aluminum letters mounted to Ark. 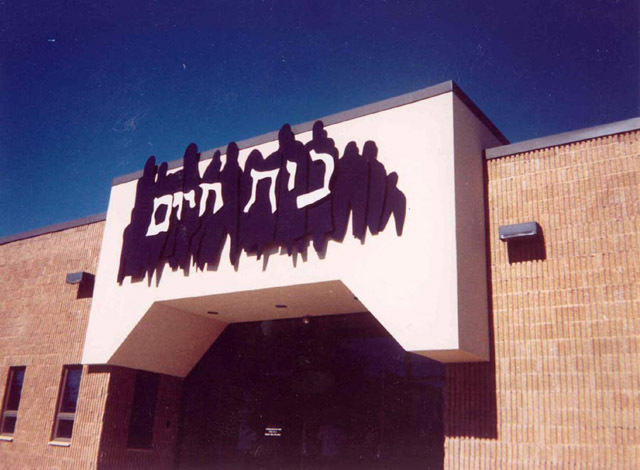 Aluminum letters, logos, and shapes with etched graphics and images form this unique, one of a kind exterior collage. 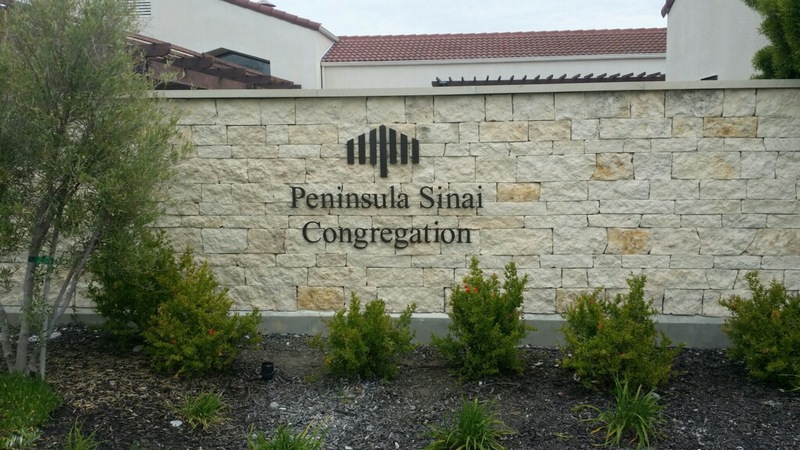 Sating Aluminum letters stud mounted outdoors to brick wall. 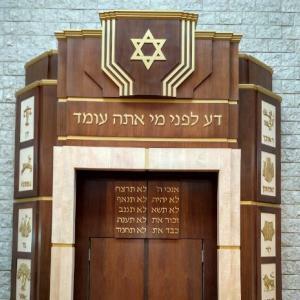 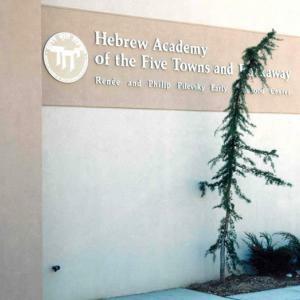 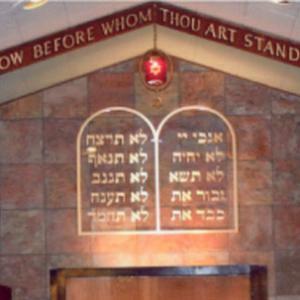 Custom cut bronze Ten Commandment letters are mounted above doors that have 12" x 12" sculptured cast bronze Jewish Holidays themes mounted to them. 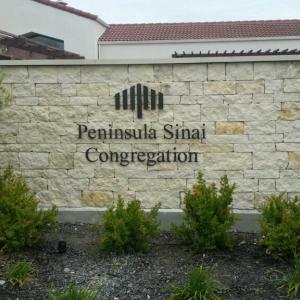 A cast aluminum logo and custom cut aluminum letters with outdoor protective coating. 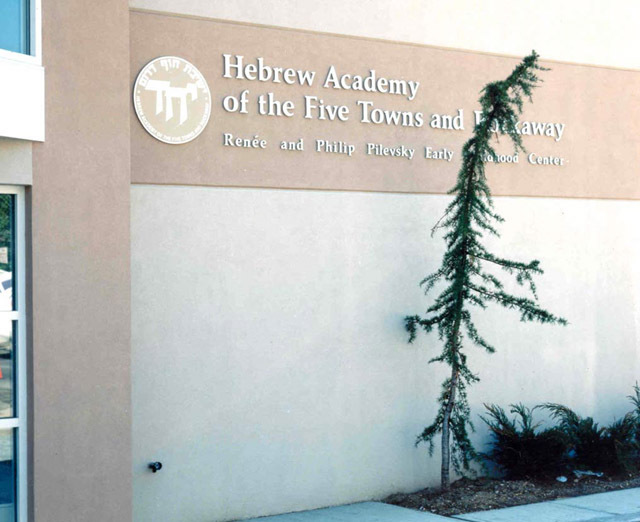 Life size aluminum figures form a multi-dimensional custom sculpture. 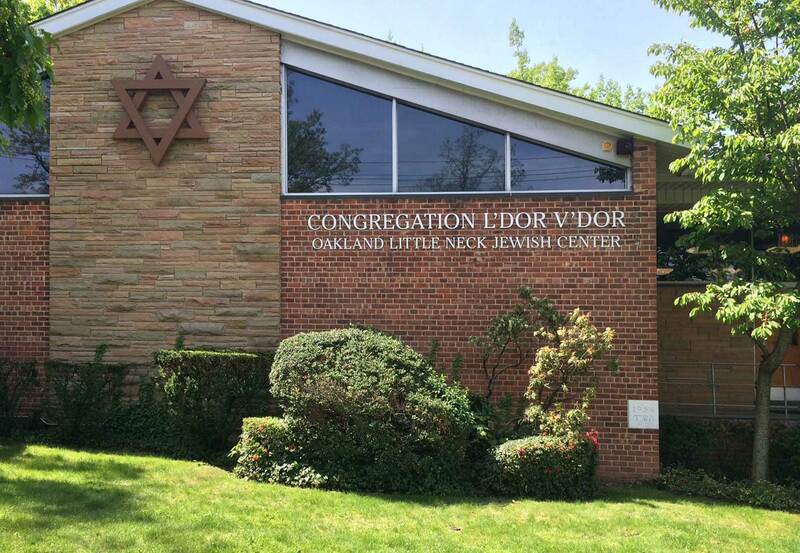 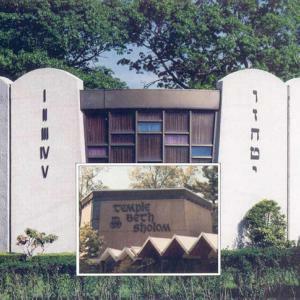 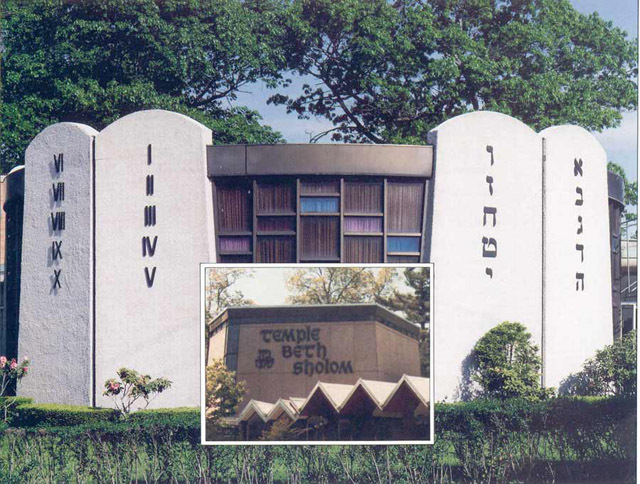 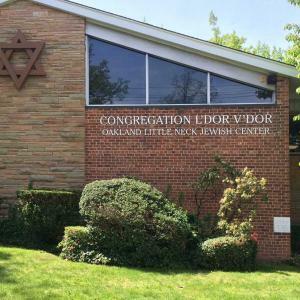 The synagogue's name is fabricated in individual metal letters. 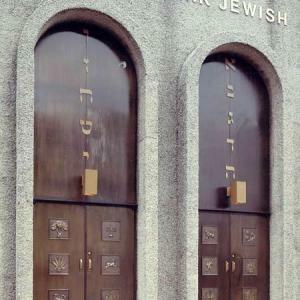 Custom cut 9"English and 7" Hebrew letters with outdoor chocolate brown finish. 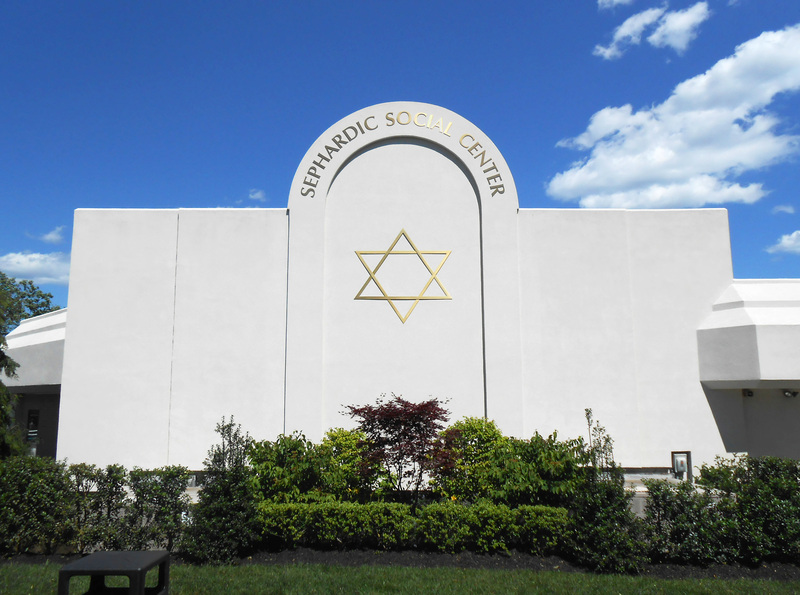 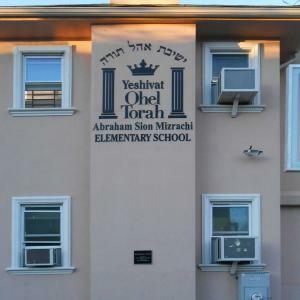 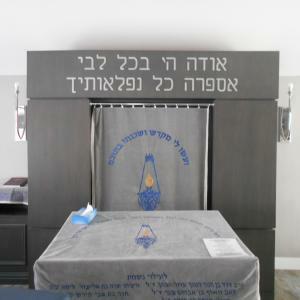 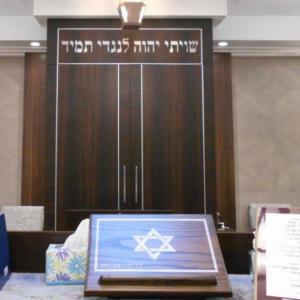 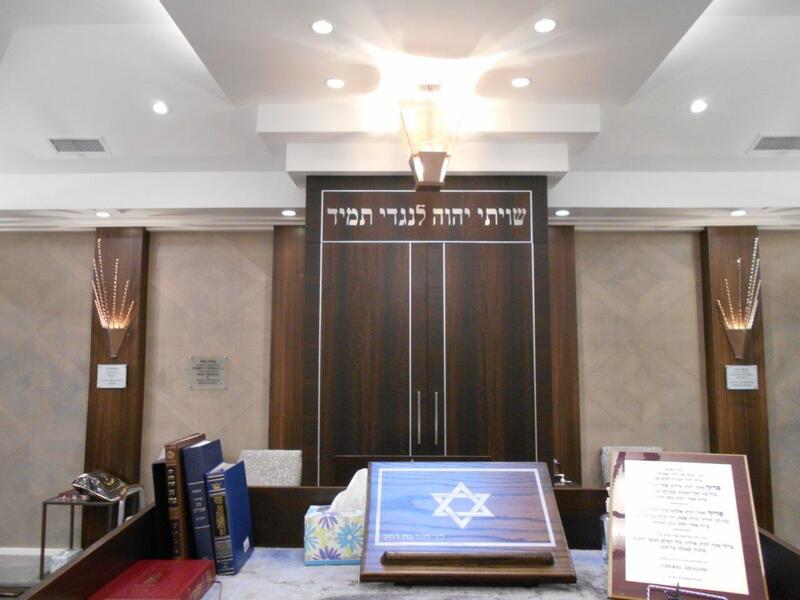 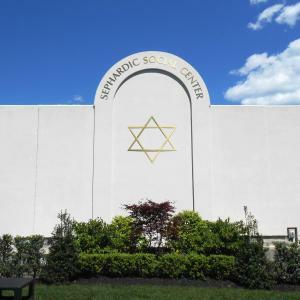 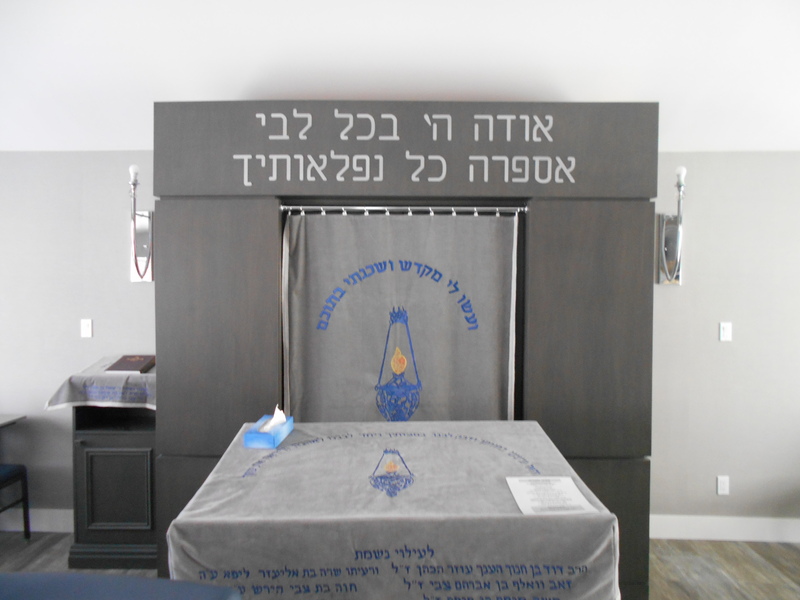 Contact us to create your individual letters for indoor or outdoor synagogue walls.